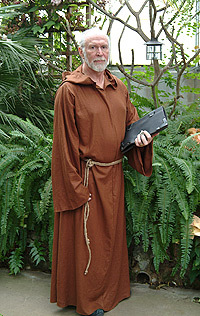 The monk's robe is a full length linen garment. It comes with sisal rope belt. The hood is full and the face can be easily hidden for for devotions in the folds. The garment is authentic in all ways but the rough texture. One size fits most.